The increasing activity is observed at the polling station at Ukraine’s Embassy in Warsaw. A huge line appeared near the department, as 112 Ukraine reported citing Poman Sosnovsky, the Chairman of the polling station in Poland. “The only problem is the big activity of the voters; we will try to allow everyone to vote. They are very active, even the workers of the embassy-consulate are surprised as they experienced a lot of elections. The line outside is long, and we try to do everything faster, but there is a particular capacity of the polling station,” Sosnovsky noted. According to him, the majority of the voters is youth. “I have heard that the youth does not vote much but we, instead, but 70% of the voters and even more are young people; the youth is very active,” he noted. Besides, the Ukrainians spread the photos of this line on social media. 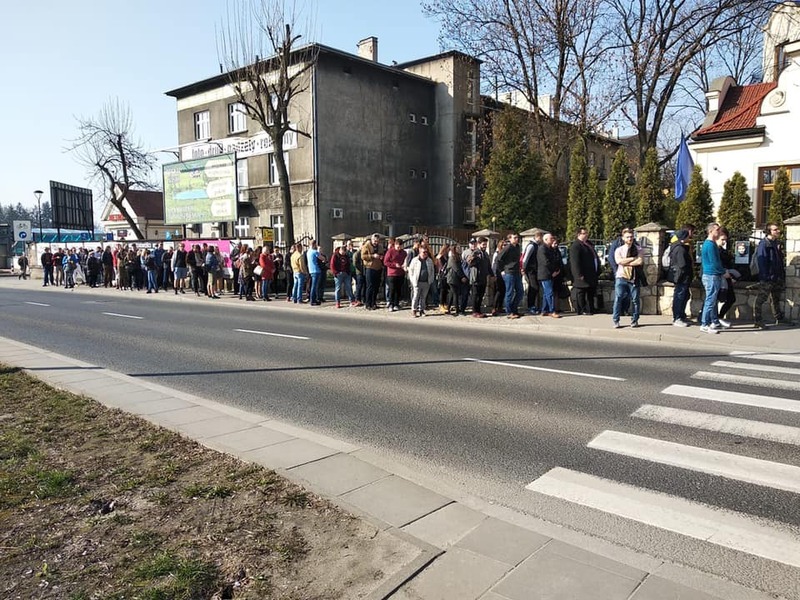 Almost 17,000 voters are registered at the polling station in Warsaw, Poland. Last time there were about 5,500 voters. The polling stations are also situated in Gdansk, Krakow, and Lublin.